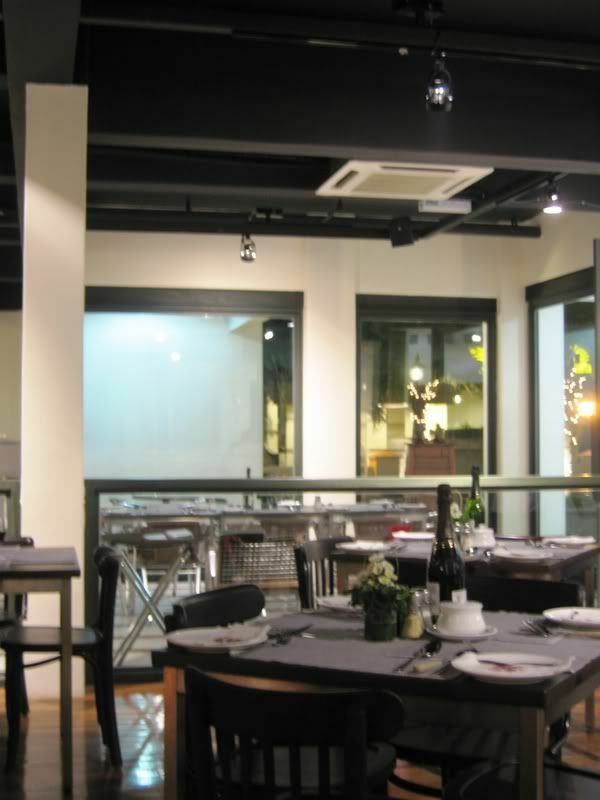 The restaurant is comfortable and has a modern style that I like.... Overall, it's nice without being too formal. 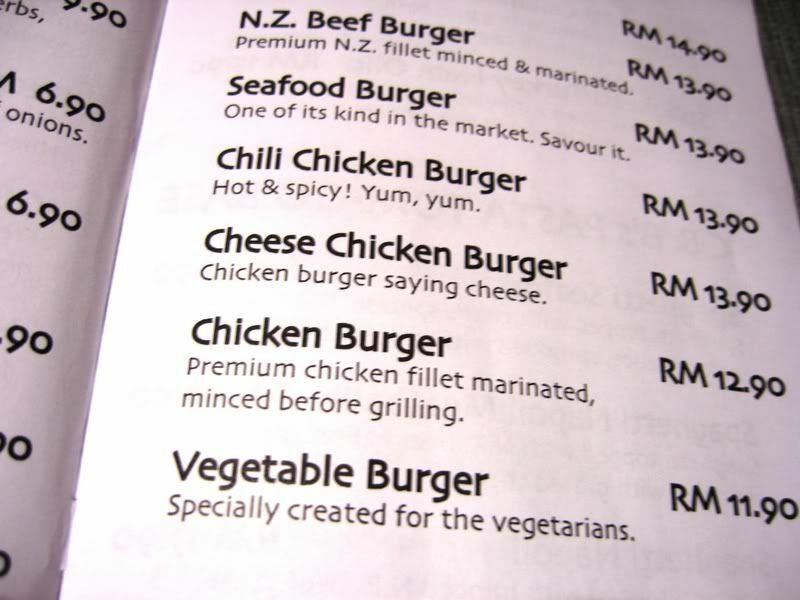 Cheese Chicken Burger: "Chicken burger saying cheese." "The stone soup! Taste wonderful! Just like the Mat Salleh like it." 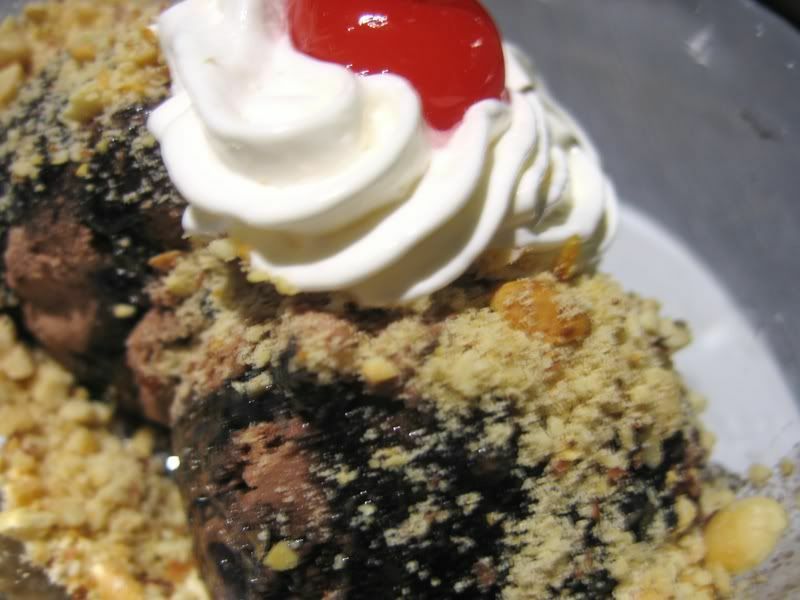 "This dark thick thing is ladies' greatest wants and don'ts. Temptation is at play." Ah... I know - we are so easily amused, right? Anyway, onwards to the food. The soups were both ok. 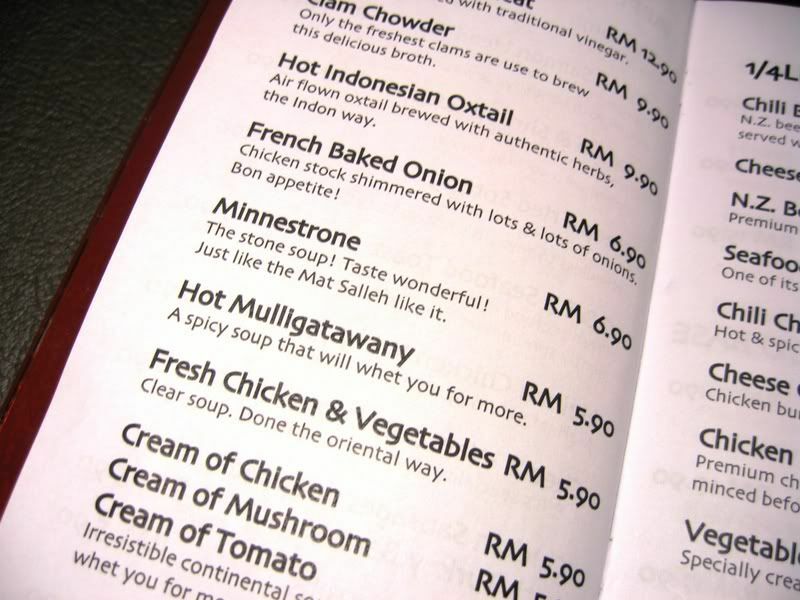 The Mulligatawany Soup (RM5.90) was interesting - spicy with a strong curry flavour, with some rice inside the soup for texture. 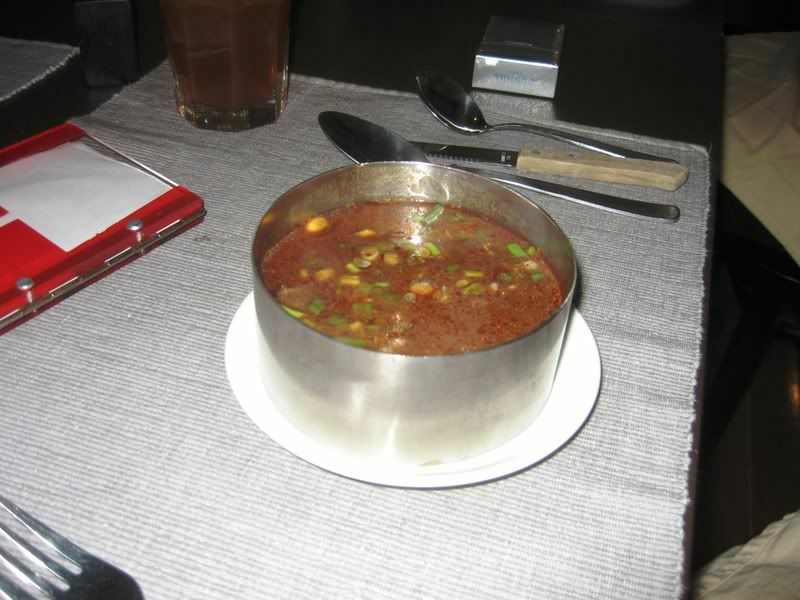 The Oxtail Soup (RM9.90) - made in a spicy Indonesian style - had one reasonably sized piece of meat inside but was not as robust as I like (my fave is still the one at Monte's @ BSC). 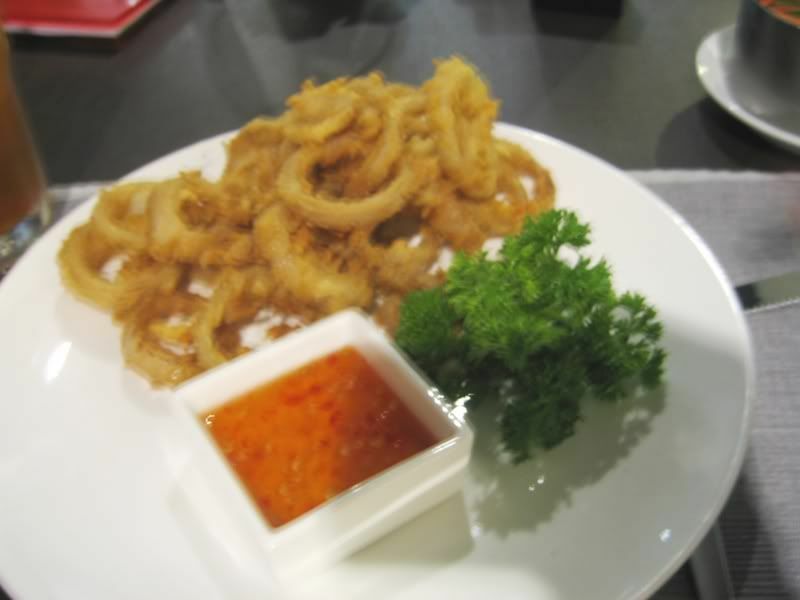 The Onion Rings (crispy!) 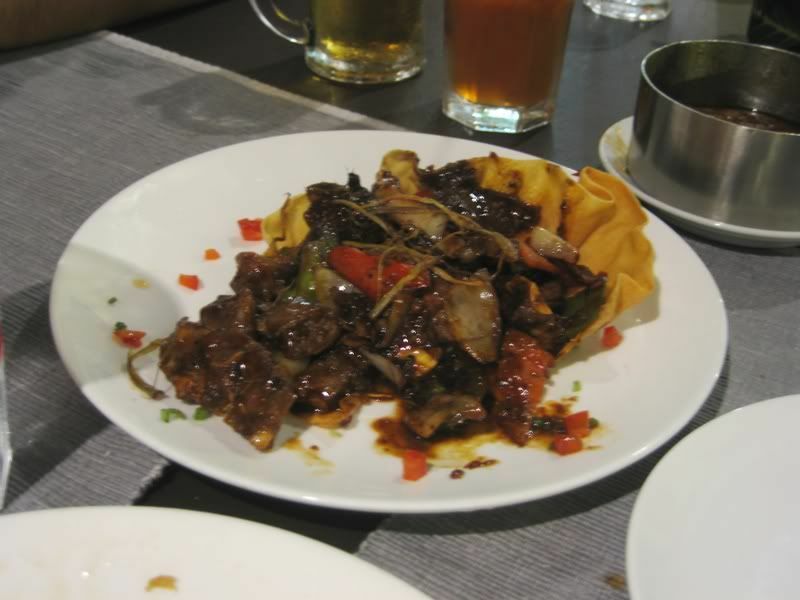 and the Spicy Beef (spicy and tender!) were surprisingly good - wouldn't mind ordering these again. Clockwise from top left: The Hainanese Beef Steak, Black Pepper Lamb Shank, Beef Burger and Sizzling Chicken Chop. 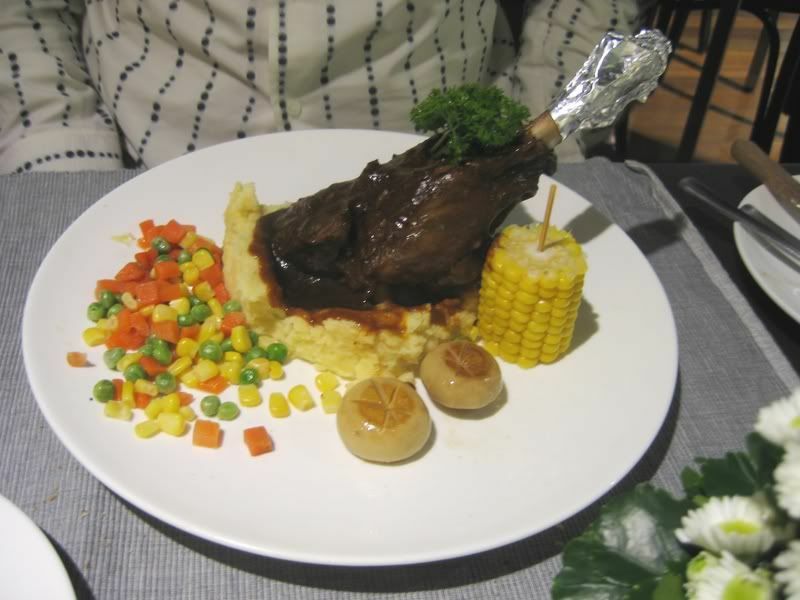 I felt adventurous so I ordered the Hainanese Beef Steak. The risk I took was clearly not rewarded though - It was dry, hard and generally tasteless. 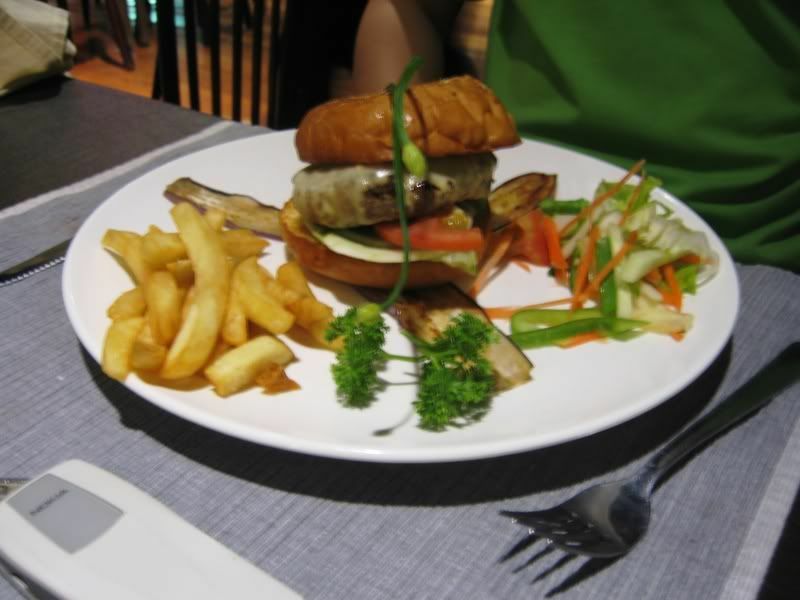 The Beef Burger and the Lamb Shank didn't fare very well either as they were both a little dry and tough. 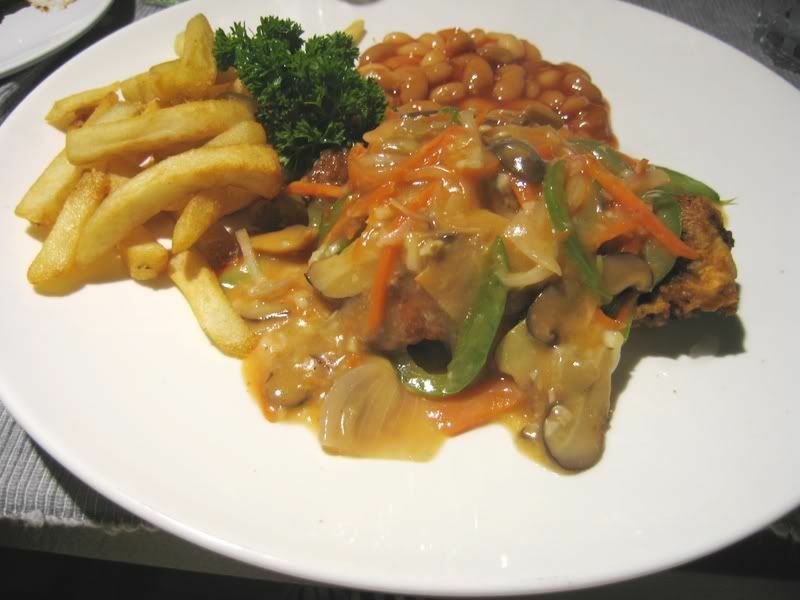 Jo-Lyn had the Sizzling Chicken Chop and said that it was ok (although a biiiit overcooked). .... and I feel that I wasted 6 bucks. Just to update - the desserts at Chef & Brew have improved SIGNIFICANTLY. They are now not only worth trying but are actually nice! Why? Because they have started (I think since last year) taking desserts from Just Heavenly (which is located just opposite their outlet). u have very fine but expensive taste! 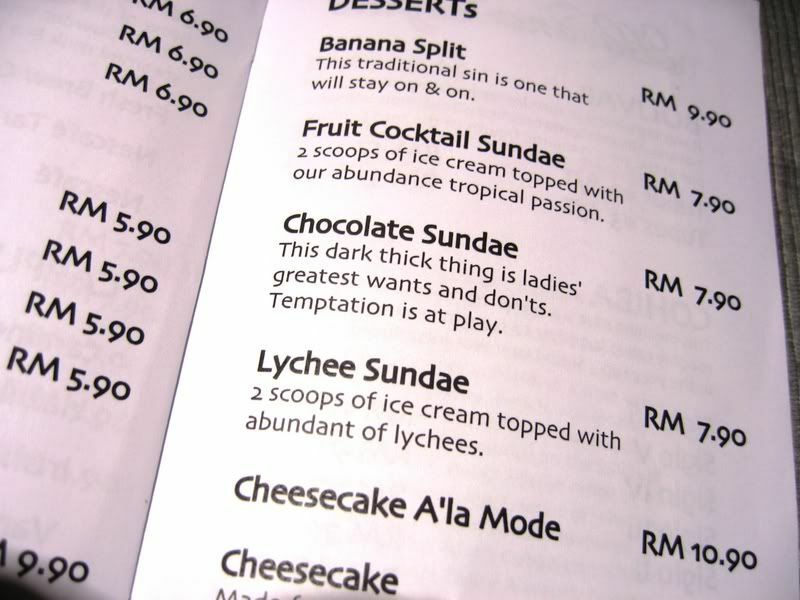 I'm probably gonna get labelled as an arse for saying this but, the choc sundae looks like the best damn thing ever lol. I want oneee! Eh? 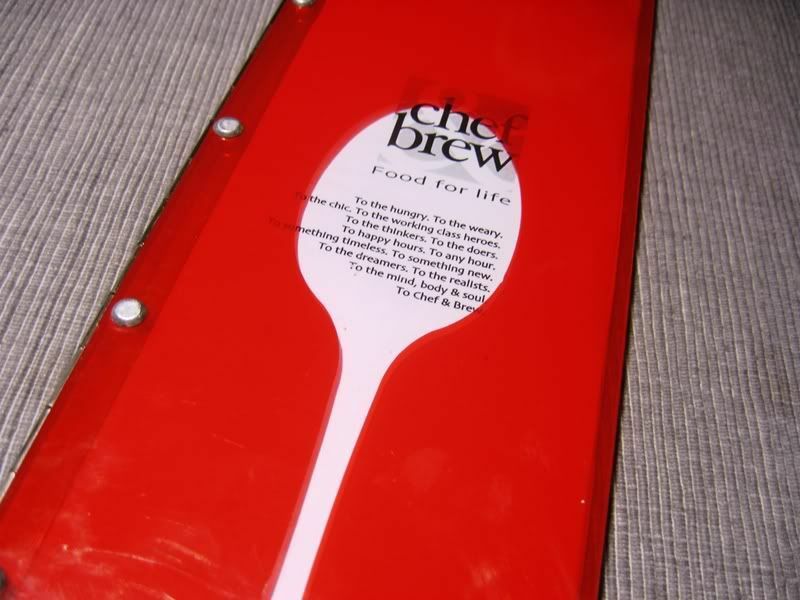 Chef & Brew arr... I was ard that area... Medan Setia... Yesterday morning... wondering abt that place. hehe! Phew!! good thing never try.. hehe!! 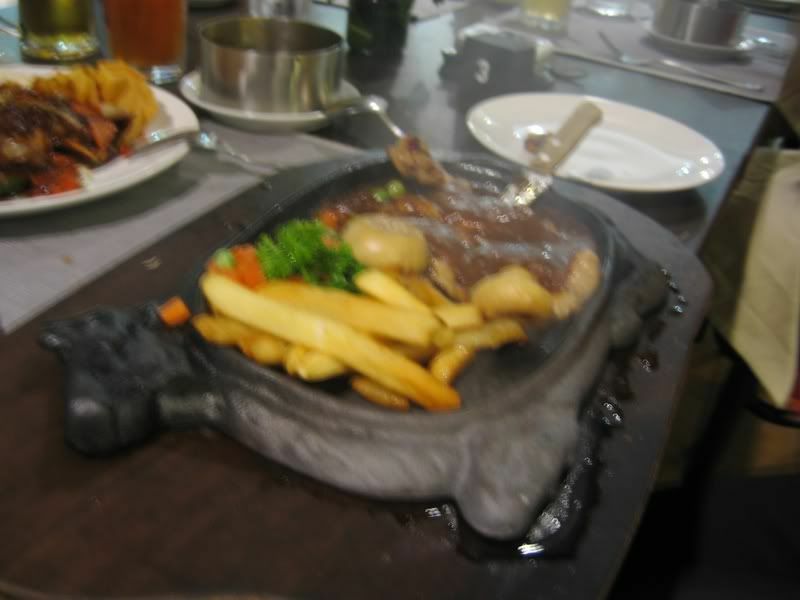 Anything sizzling... if u don't want it to be overcooked, as soon as it's served, try dishing the piece of meat up if u can. ... and that's a good thing, right? 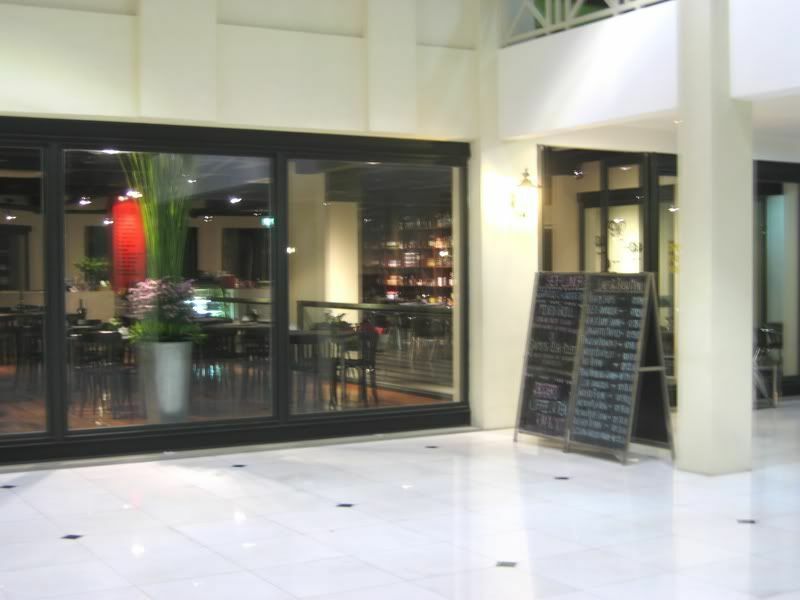 I mean, it has a nice ambience and it's cheap - ok place to eat if you're not too fussed about the quality of the food. I'm more of a Chili's girl myself. Oh and yes, I think they still have the whole JD range at TGIF. "... This dark thick thing is ladies' greatest wants and don'ts..."?? Great post. 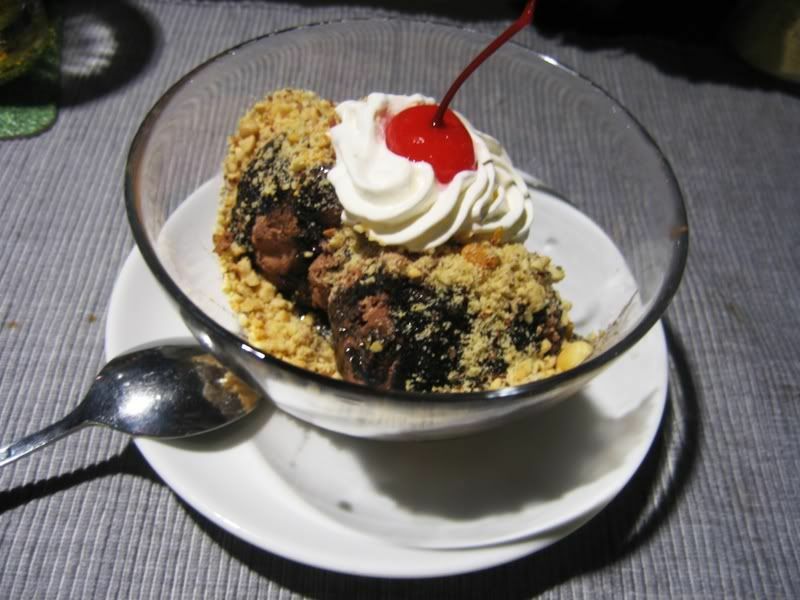 I love those chocolate sundaes. They looked tasty! !